This is an update to a post from 2017, originally conceived as I was reading Hero A Go-Go by Michael Eury. That book chronicles superhero comics' response (and influence on) 1960s camp pop culture. It's a combination that didn't always work well; many of the works now seem more goofy kitsch perhaps, and some are really just unfunny parody of superheroes. Still, when it works there is a certain charm to a lot of folks, as the revival comics Batman '66 and Wonder Woman '77 indicate. I wonder why there hasn't been as much of a concerted attempt at published camp works for Dungeons & Dragons? 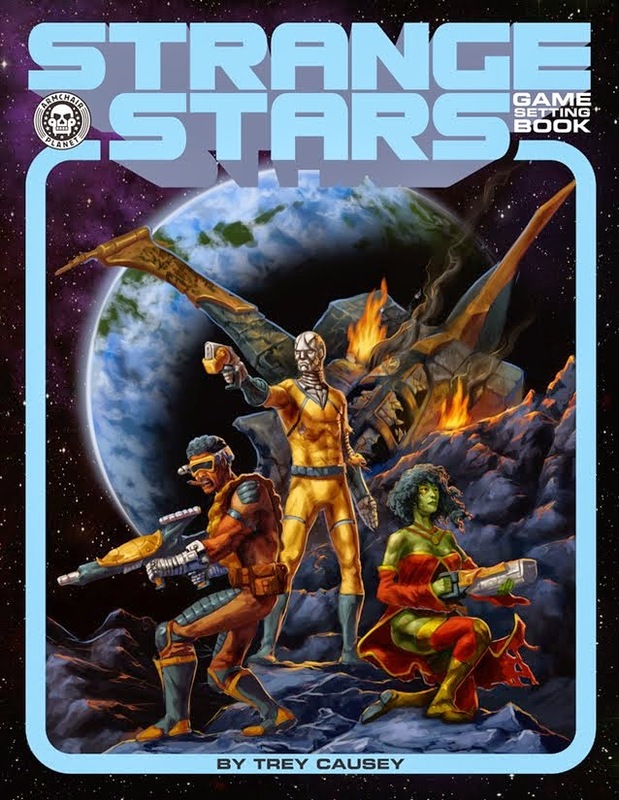 Certainly, farcical humor abounds at the gaming table, and a number of comedic adventures have been written (a lot illustrated by Jim Holloway), in fact a couple of my Hydra colleagues have been taken to task for humorous elements in their work. 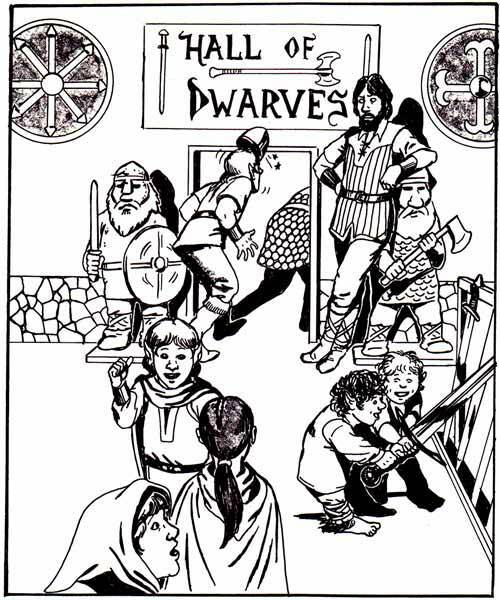 There are, of course, humorous illustrations in the older AD&D books. But as far as I know, there has never been a camp setting or camp-informed setting--unless maybe HackMaster counts? Maybe it's just too difficult an approach to sustain well throughout a written project? I should back up a bit here and define what I mean by "camp," since it's not a term with a universal, clear definition. What I mean in this case, is not the farce or cheese, but a sort of knowing amusement. An "engaged irony." As Isherwood would have it: "you’re not making fun of it; you’re making fun out of it." The "it" in our case being elfgames. 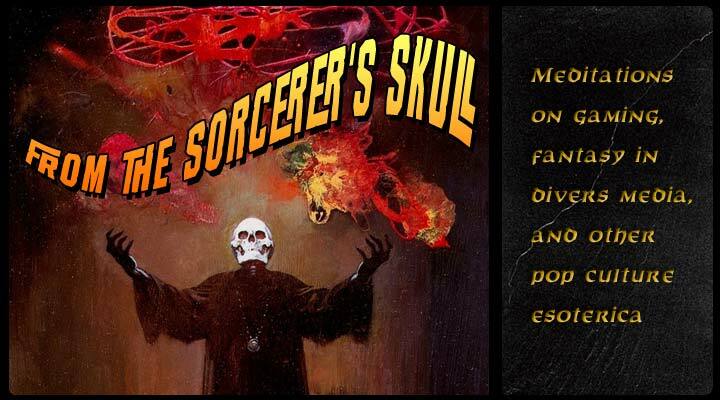 The settings of some OSR-related folks seem to me to have elements of camp without going all-in: Jason Sholtis' Operation Unfathomable, Chris Kutalik's Hill Cantons, some of Jeff Reints stuff, and my own Mortzengersturm. Dungeon Crawl Classics with its "airbrushed wizard van" elements could be taken as camp, but I'm unsure whether that is the intention. Some people love camp, some people hate it, and some folks (like me) have to be in a certain type of mood to enjoy it. Or maybe not: I suppose even people who love it come to a point where it's "too much," and for all the rest of us (like me), we really have to have a mind to appreciate it. I enjoyed the original Adam West Batman as a small child (watching in syndication), then grew out of it, then (upon discovering Batman '66) found it cute and clever and something I wanted to introduce to my own children (which I have). But man-o-man: doing camp well is HARD. I can't write like that. For some folks, it might come naturally...like those guys who can make puns at the drop of a hat, in any occasion. Even though I can appreciate some types of camp, I just don't feel I have the brain to create it. Not intentionally, at least! I've been working on/occasionally running a campaign at home based around this idea. I recently bought the entire Adam West Batman and have been watching it, as well, and what I noticed about it was that while it was "campy," it also played around, in the postmodern sense, with the nature of the ratiocinative detective: The first episode with Penguin involves a plot that isn't a plot but has all the signs of a plot so that Batman will construct the plot for Penguin so he can commit the crime. That's brilliant, and it's managed not despite of the camp but via the camp. My idea involves that taking all the standard, usually dumb tropes and crap that happens in a campaign and assumes that they're just a natural part of the world. For example, in the major city of the campaign, called Wengemerlin, where the big dungeon/castle is located, the town caters to adventurers. You've got a hirelings union, dungeon-delver department stores, etc. One event that will occur, eventually, is the arrival of Dungeonland!, the first adventurer equipment department store, based on those huge outdoors stores that have water features and such. There's a tavern that hires old mysteriously looking sagely men to sit in corners and sell rumors and adventure hooks. The city's immigrant population includes Vikings, who basically take the place of the mafia. So you've got a Viking mafioso who, instead of the mafia double-breasted pinstripe suits, wear chainmail and horned helmets and run rackets and use meadhall franchises as fronts for their operations. You get healing at the "Express-Temple of Pax-Oon, the God of Healing and Fair Transactions"
I got the idea, originally, from when you almost ran that dungeoncrawl campaign over Google+. @JB - I suspect that stops a lot of folks. @Billy - Interesting thoughts on Batman, and campaign idea. Yeah, that's sort of what I was trying to do, maybe taken a couple of steps farther. @Anne - Interesting. I would disagree with some of Rogers' assertions, but a lot of the areas where I would come from the strict replacement of camp with gaming in Sontag's essay, for instance: "Gaming, the essential element is seriousness, a seriousness that fails." I would disagree that gaming necessarily has to be serious, but I would also disagree with Sontag that camp needs to be. The Batman TV show from the 60s, for instance, is not, though it makes a pretense of being so.